I often hear young couples say “we want to have children!”. “We’re trying to get pregnant, but without any success. Maybe we aren’t meant to be parents,” others say. Lately, such problems are often the topic of discussions, frequently among young people. However, does this mean that today these difficulties and/or complications are more common than before? Indeed, statistics show that more and more young people seem to encounter various problems while trying to get pregnant. There are numerous reasons for this, many of which lie in the people themselves. Of course our unfavorable environment is not without fault; good diet and low stress levels are also crucial. Furthermore, there is much talk about the prevention of various diseases. 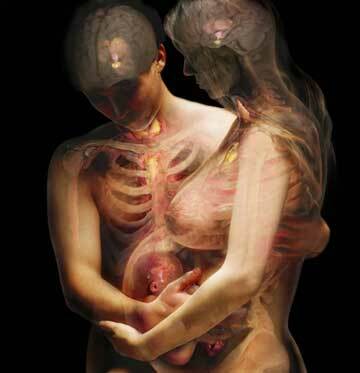 We rarely, however, seem to think about the importance of wisely and consciously preparing the body for a pregnancy. Allow me to briefly elaborate on this issue. Of crucial importance in a healthy pregnancy are obviously healthy parents – both parents. Only healthy bodies are able to produce healthy reproductive cells – in other words, the egg cell and sperm. After this, everything depends on the health of the mother – will the fertilized egg find adequate conditions inside the uterus? It is therefore incredibly important that we closely look at our own health, maybe do a basic analysis of blood and urine samples, which indicate sugar and iron levels, before trying to get pregnant. This is an ideal opportunity to take advantage of what FLP has to offer. Drinking Aloe Vera Gel and consuming Nature-Min daily proves to be very beneficial when dealing with nutrient deficiencies. Fields of Greens can help supplement or increase hemoglobin levels, while also having a positive effect on digestion. We should also focus on curing any ongoing infections – this is of fundamental importance especially during the first three months of a pregnancy, as this is the “organogenesis” period, meaning that during the first twelve weeks, all the child’s vital organs are formed. It would be best to avoid catching any colds, coughs or sore throats during this time – the baby continues to grow and develop throughout the course of the entire pregnancy, thus it is critical that it is not exposed to any pathogenic microbes in the womb. Now, the baby needs constant and stable nutrition in order to grow and develop in harmony. If you think about it, the sole “supplier” for the baby is his or her own mom. For this reason, everything now depends on the mother’s diet, which should be normal with just a few possible modifications. First and foremost, meals should be varied and should include something from each of the food groups in order to ensure the consumption of all essential nutrients. Meals may also be enriched with additional portions of protein, fruits and vegetables. During the later stages of the pregnancy, meals should be smaller and more frequent. This can help us avoid heartburn, painful bloating and intestinal colic. Finally, a very important tip: do not forget about drinking plenty of water during the entire pregnancy. This is important for both mother and baby. The skin of pregnant women needs an abundance of water, as dry skin tends to lose its elasticity. After all, the skin must tightly stretch in order to cover the growing belly. Drinking plenty of water is the best, natural way to prevent stretch marks. Breasts should also be treated with care, as they will enlarge as well. Dry skin breaks very easily and is instantly covered in stretch marks. In addition to drinking a lot of water, FLP offers some excellent products that help nourish the skin. There are many Forever Living Products that can be used every day to nourish the skin during pregnancy.